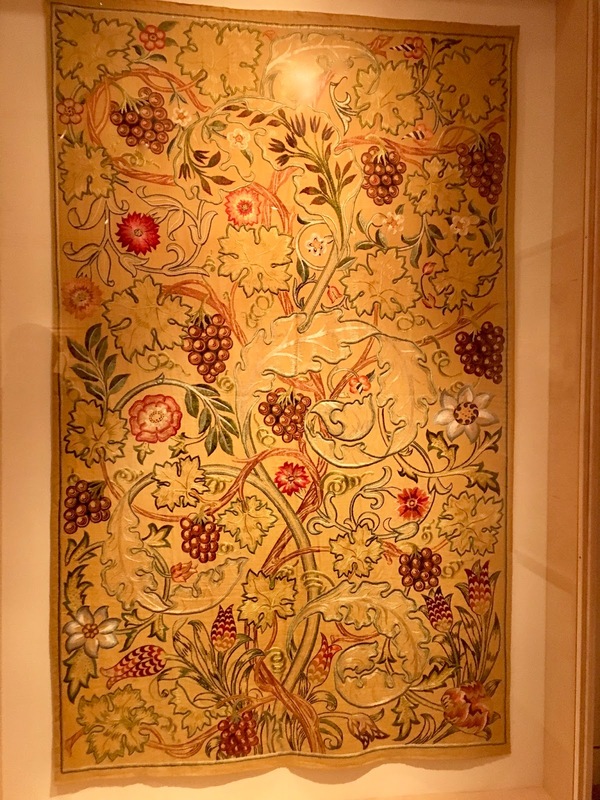 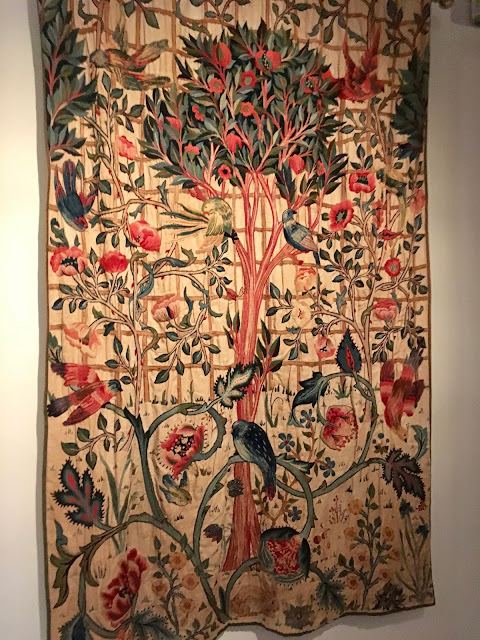 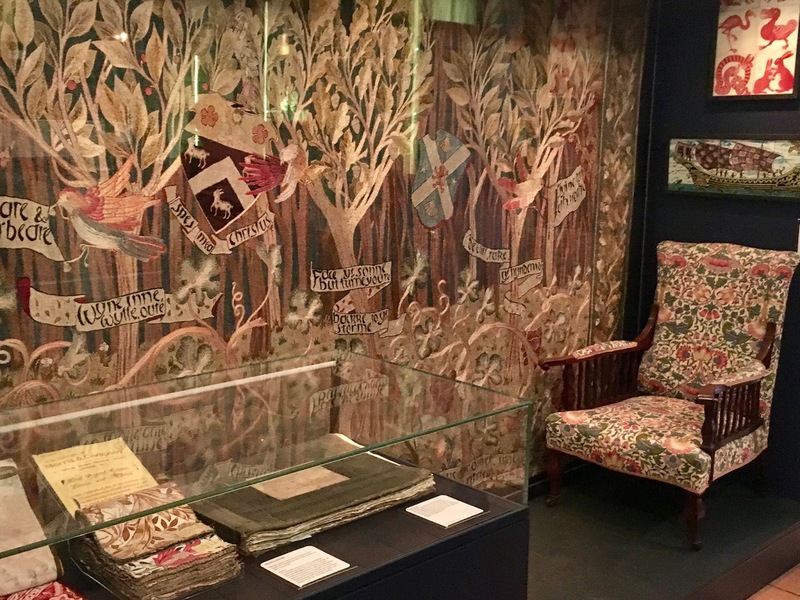 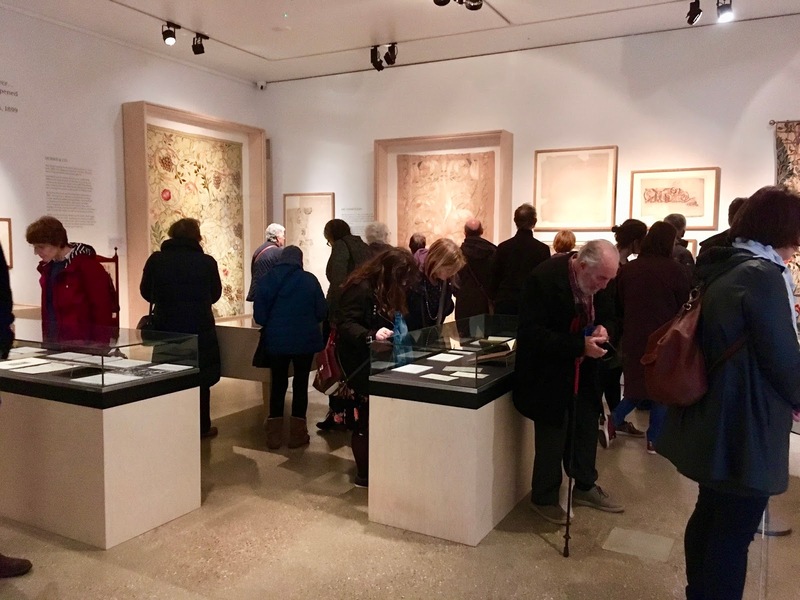 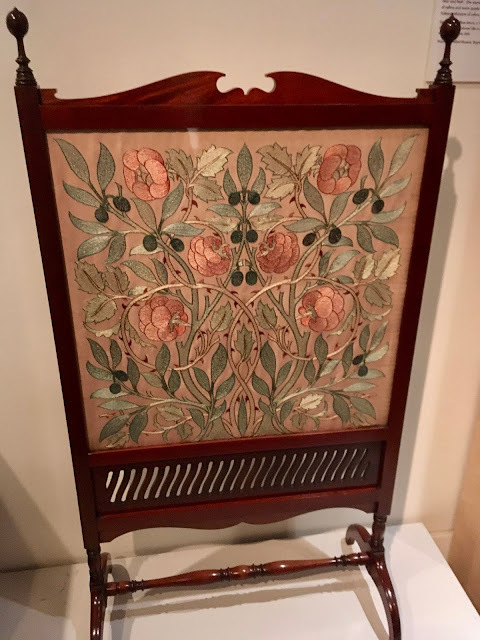 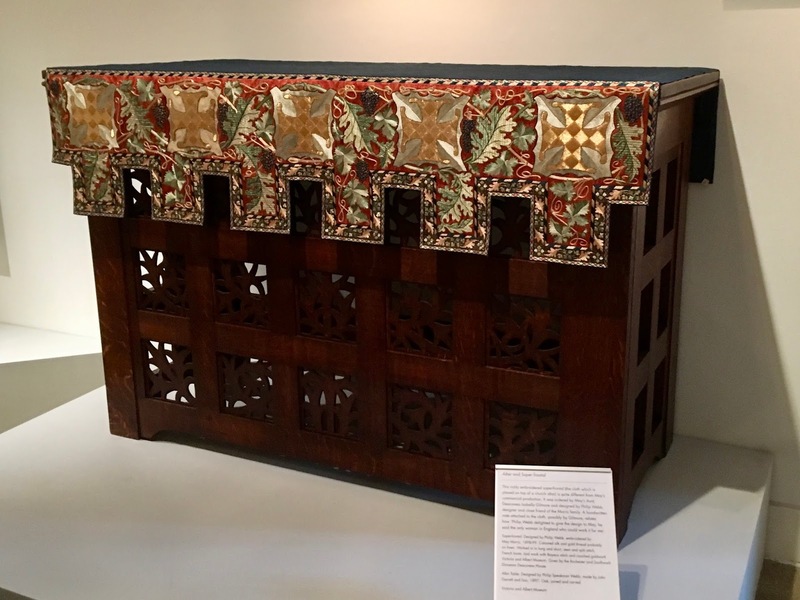 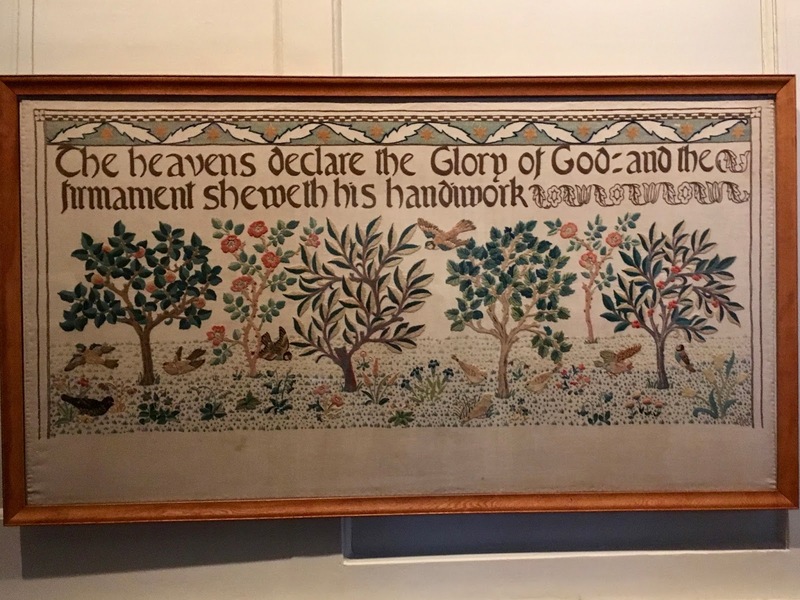 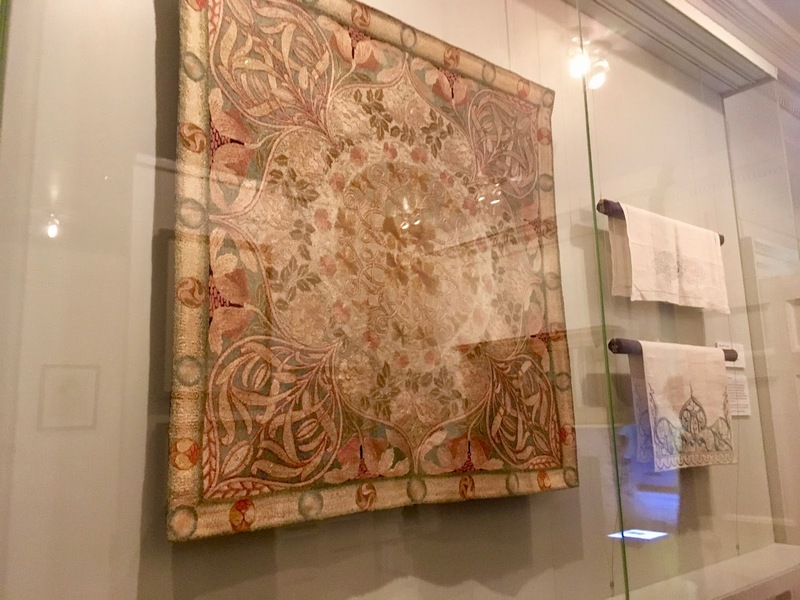 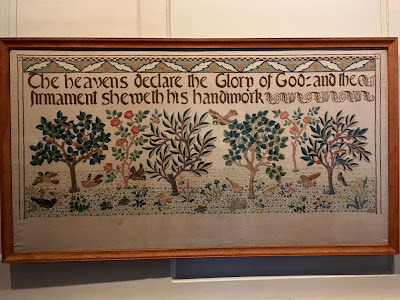 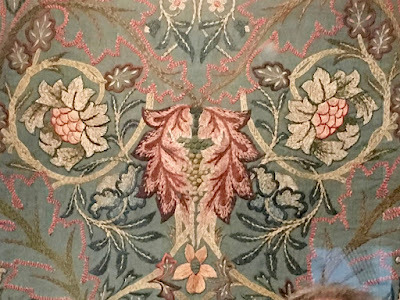 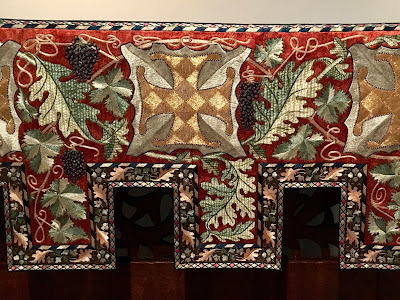 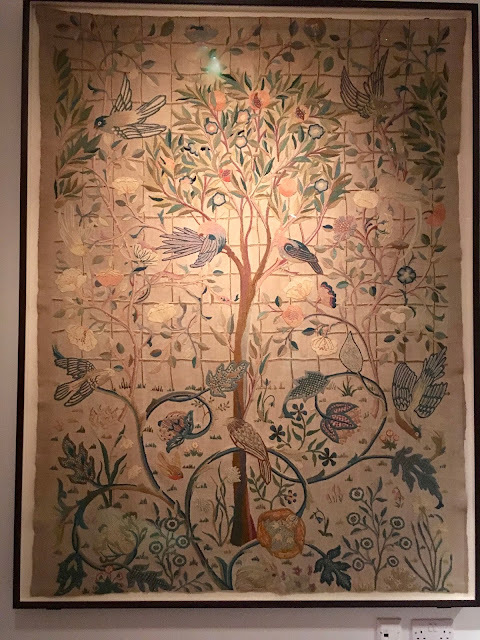 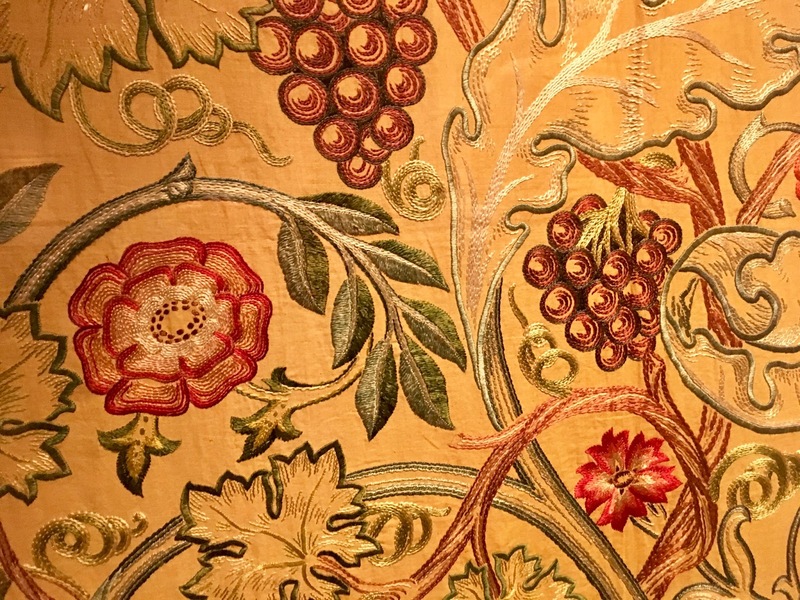 Like the many other visitors we particularly enjoyed the special exhibit featuring the amazing needlework by May Morris. 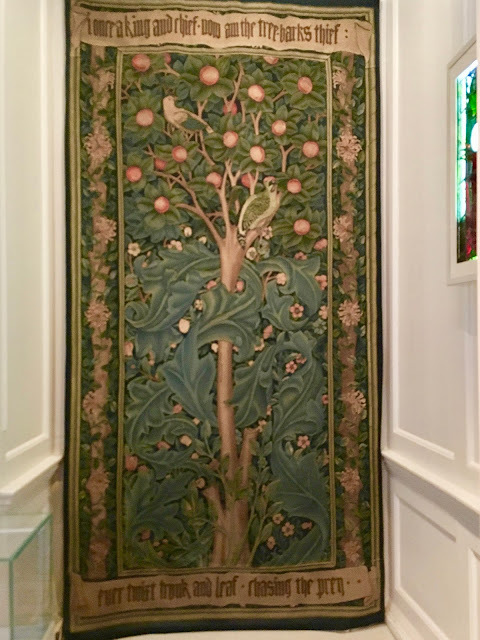 Born in 1862, May was the younger daughter of Pre-Raphaelite artist and designer William Morris and his wife, Jane. At the age of 23 May became head of Morris and Company's embroidery department. 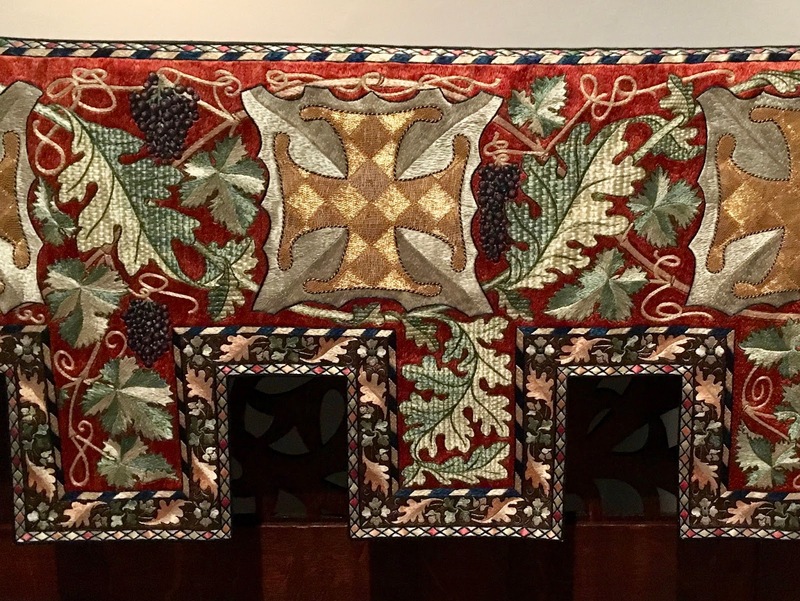 As the chief designer she initially followed the "Morris style" before developing her own innovative and complex designs. 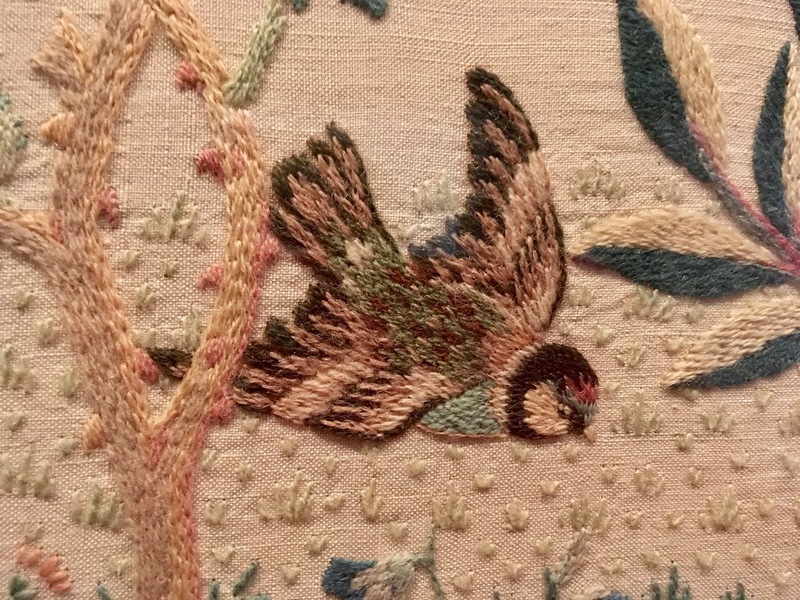 Her skill and talent elevated embroidery from a domestic craft to serious art form. As a result she became one of the most significant artists of the British Arts and Crafts movement. Dismayed by the number of professional art organizations unwilling to admit women she founded The Women's Guild of Arts in 1907. 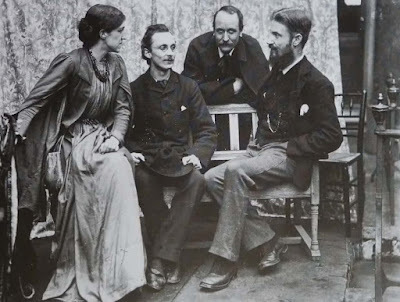 Like her father May was politically active in the Socialist movement and had a brief affair with George Bernard Shaw. Photo taken at Hammersmith Terrace, London, February 3, 1889. In 1886 she handmade a Valentine's card and sent it to him anonymously. He immediately recognized May as the artist, but felt unable to reciprocate her affections as he was struggling to earn his fame and fortune. 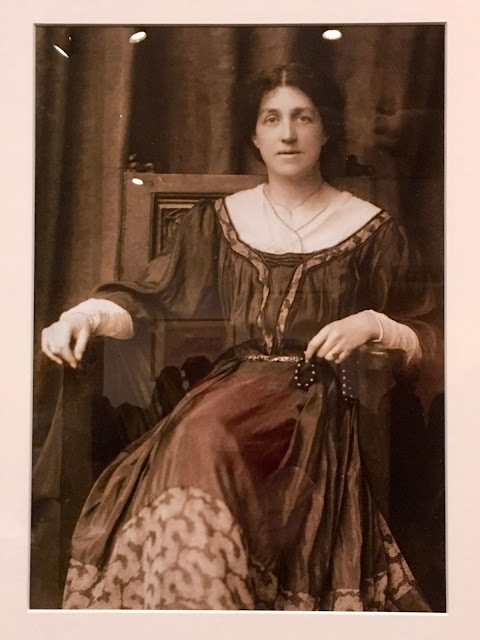 (Shaw was still living with his mother at the time and involved with a much older woman as well.) 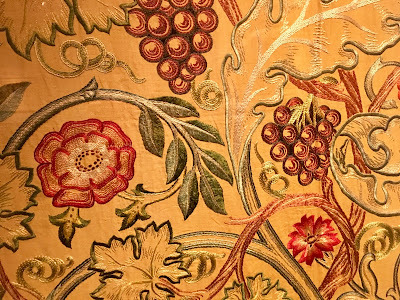 A few months later May became engaged to Henry Halliday Sparling, but the marriage lasted only four years. 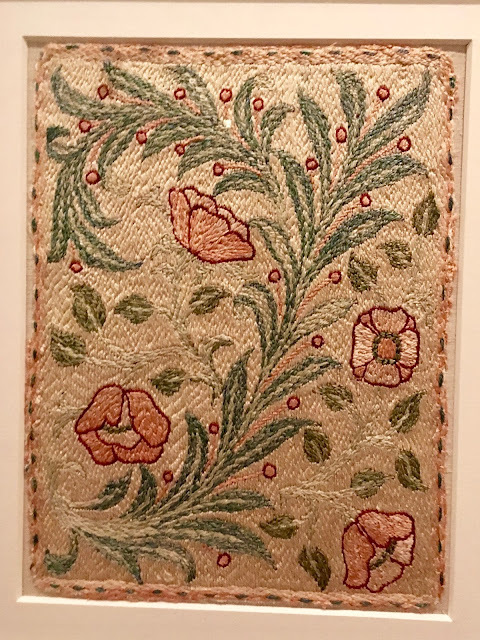 For the remainder of her life May focused on embroidery and promoted the use of quality fabrics and threads. 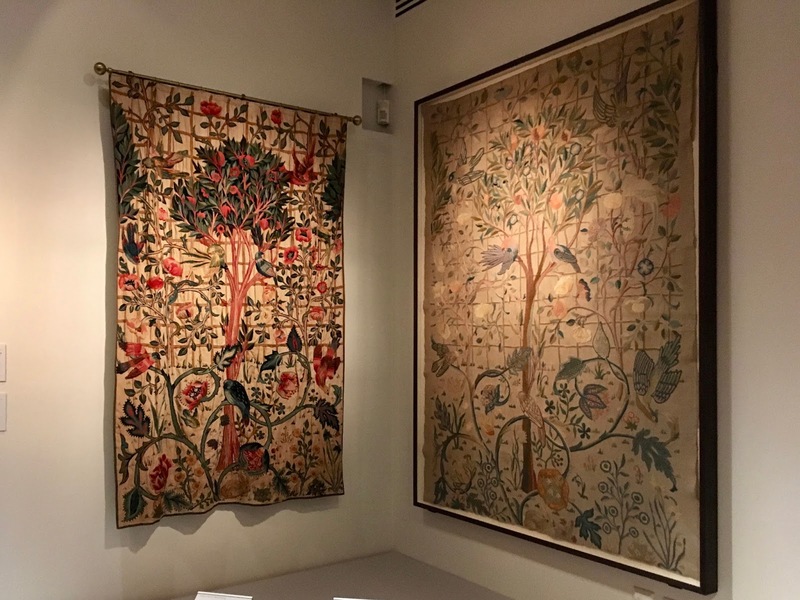 She also preferred natural dyes to synthetics. 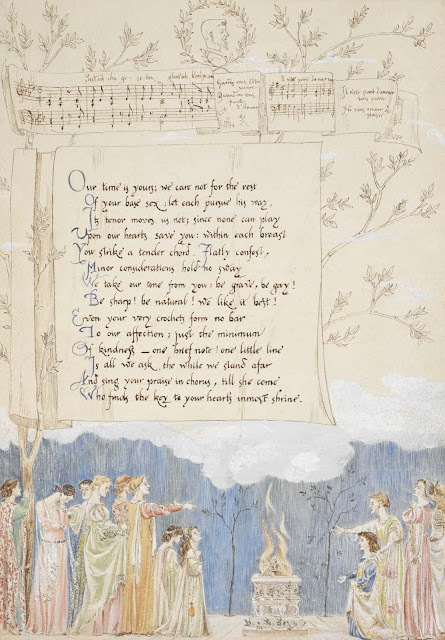 May died in October 1938, but her work continues to inspire today. Next stop was the main exhibit dedicated to her father, William Morris. Morris is best known as a Pre-Raphaelite artist and interior designer. 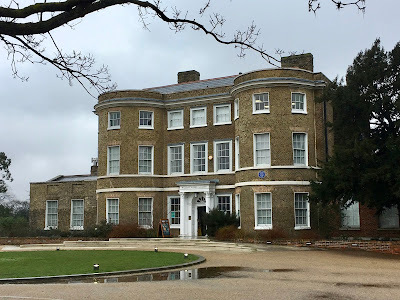 Born in Walthamstow in 1834 he disappointed his wealthy family when he rejected becoming a clergyman to dedicate himself to the arts. With a group of friends he established the Morris, Marshall, Faulkner and Company which later simply became Morris and Co. He hated the results of the industrial age - crowded cities, poverty and disease - and believed beauty was a basic human need. 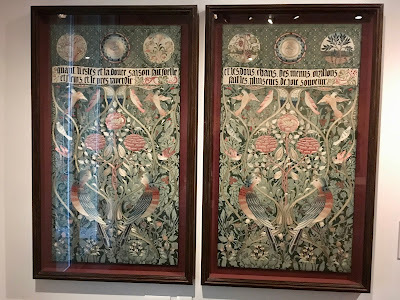 His goal as an artist was to transform the Victorian age. 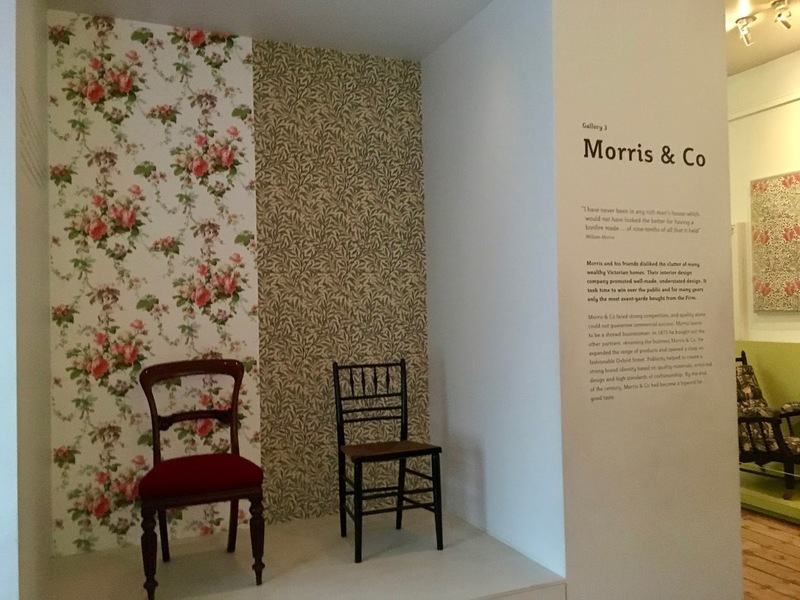 Morris also fought for social equality and a return to craftsmanship. He also campaigned for the preservation of historic buildings and against the wasting of natural resources. 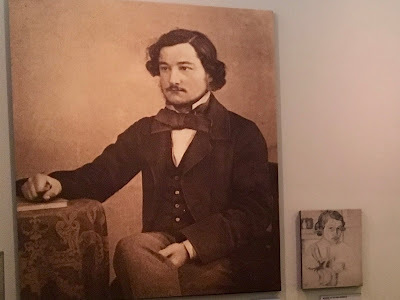 He was also dead set against the clutter of the Victorian age. 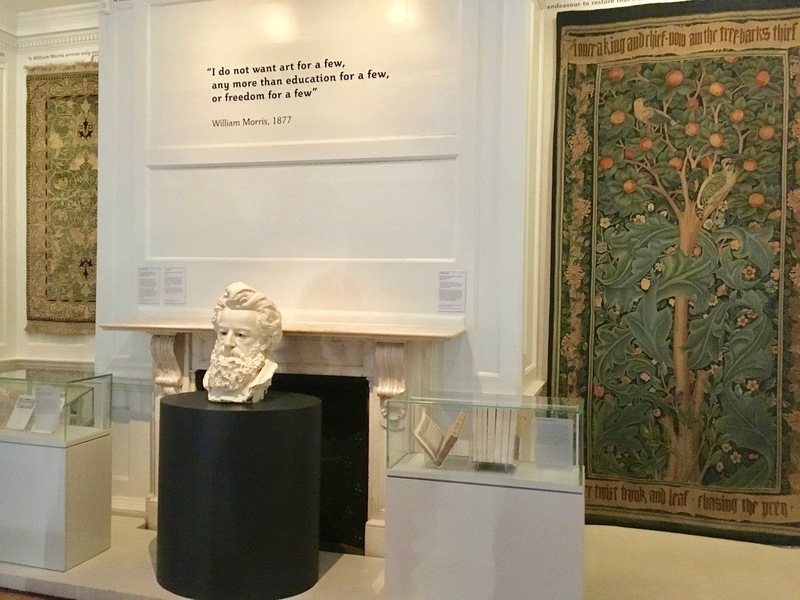 "I have never been in a rich man's house which would not have looked better for having a bonfire made...of nine-tenths of all it held." 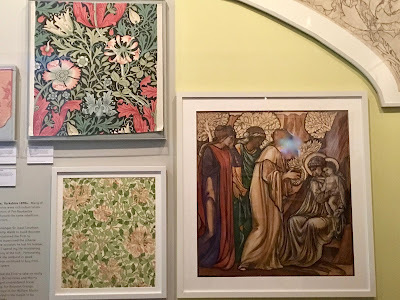 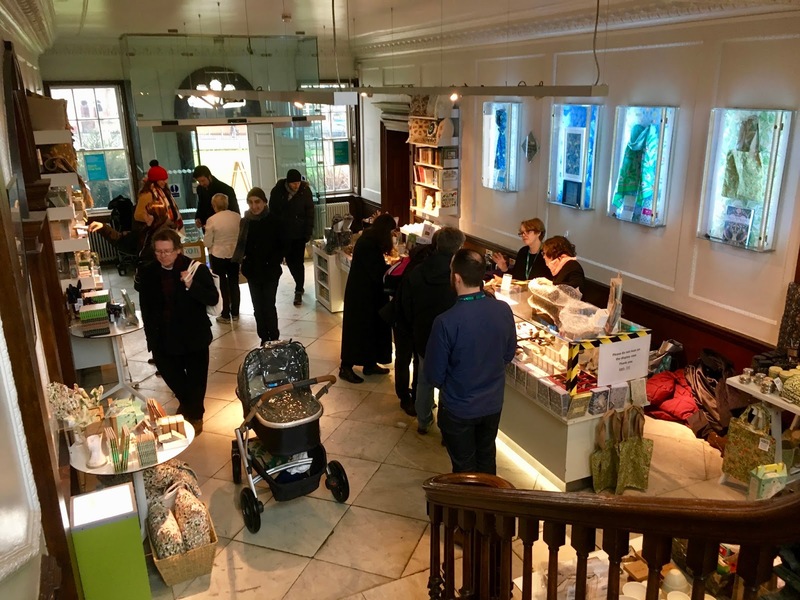 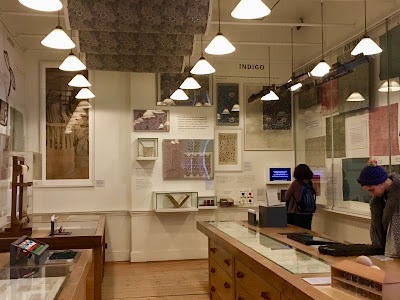 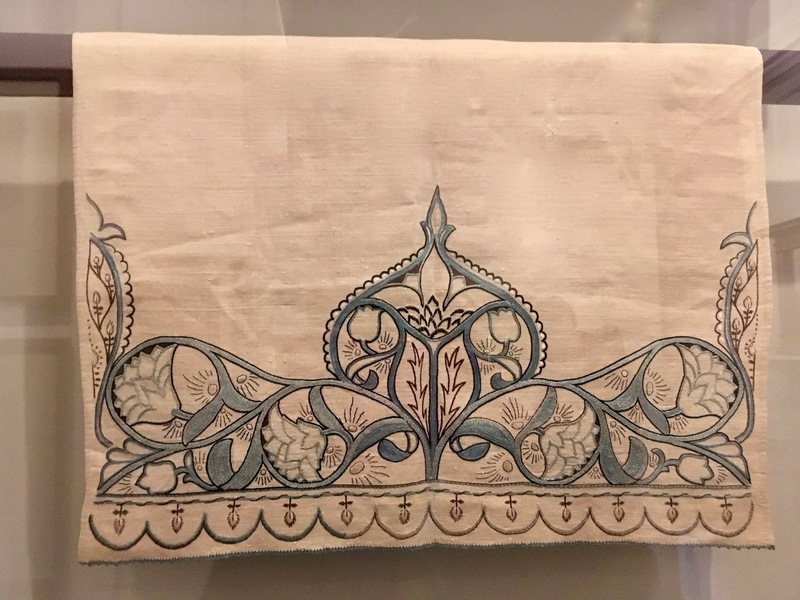 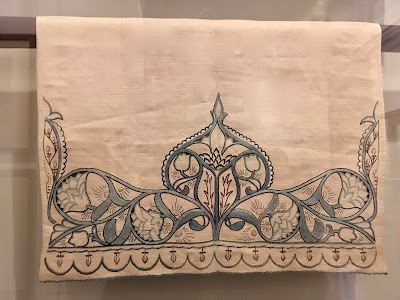 The gallery shop offered many Morris designed items for the home including tea towels, leather passport covers, embroidered purses, silk scarves and everything in between.